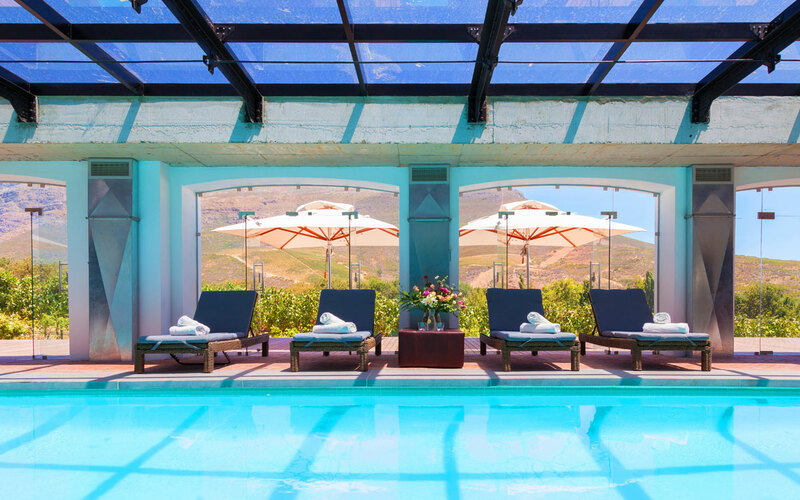 The Lanzerac Hotel & Spa is set on a 155 hectare private working wine estate. Established over 300 years ago, today Lanzerac holds a coveted place amongst the most sought after hotels and wedding venues of the world. 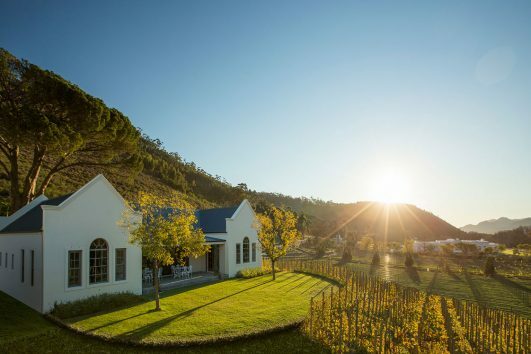 Situated in Stellenbosch, the estate is a mere 40 minutes from Cape Town International Airport and 55 minutes from the Cape Town city centre. 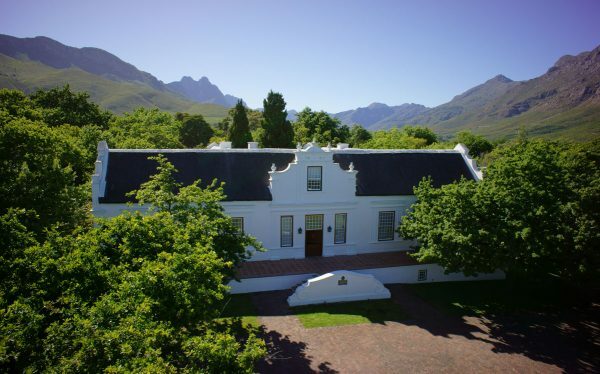 The Lanzerac Estate is ideally positioned to explore the region’s famous wine estates and the historical town of Stellenbosch. Local craft and antique shops, art galleries, museums, and award winning restaurants are conveniently located just minutes away. Experience the finest hospitality and heritage. 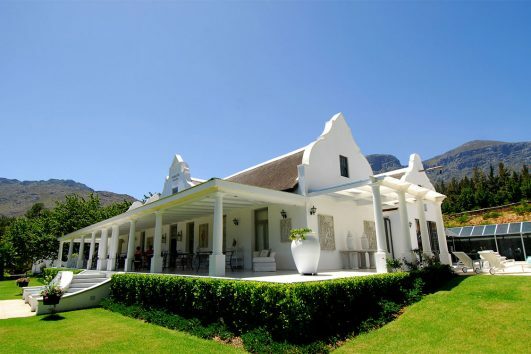 The hotel boasts one of the most distinguished examples of Cape Dutch architecture. 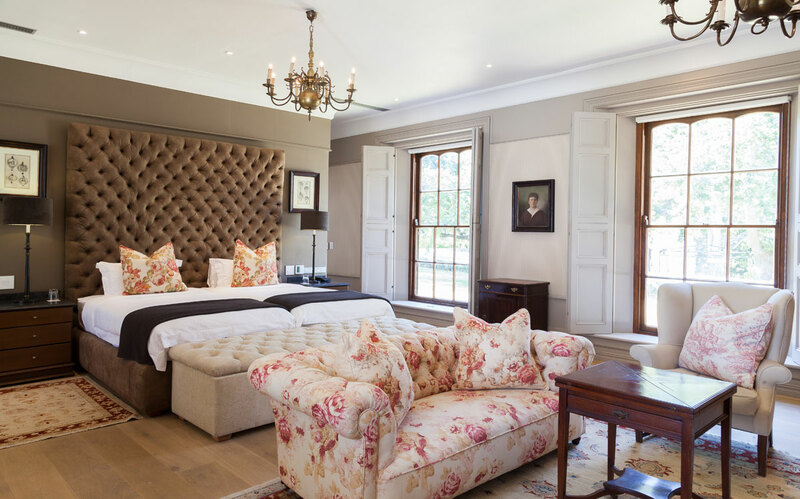 The five-star accommodation is exclusively limited to forty-eight spacious rooms and suites. 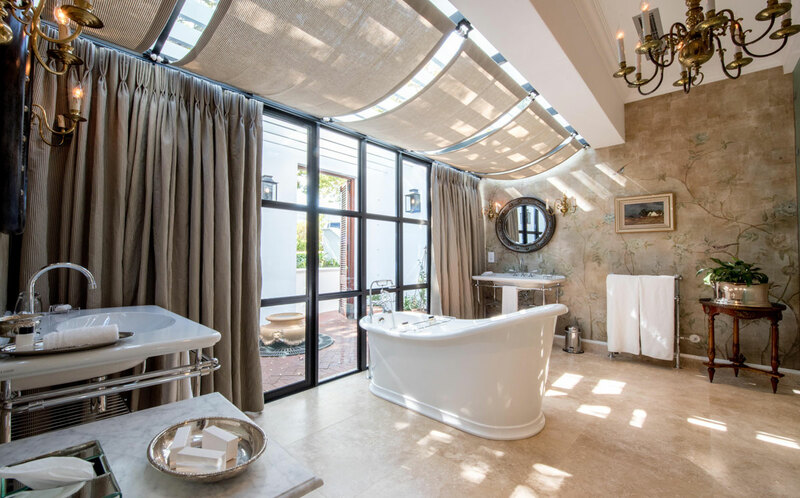 All rooms are ensuite with separate shower and bath, some boasting a large free standing Victorian bath tub for long, indulgent soaks. 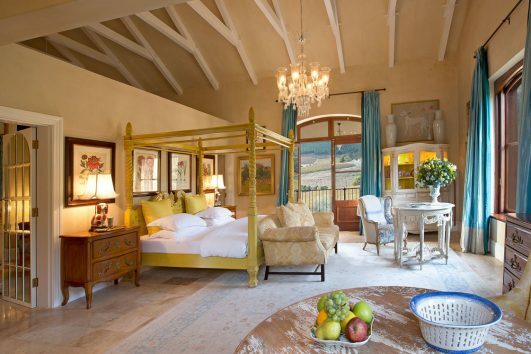 Every room opens out onto a private patio that overlooks landscaped gardens, endless lush vineyards and the majestic Helderberg Mountains.